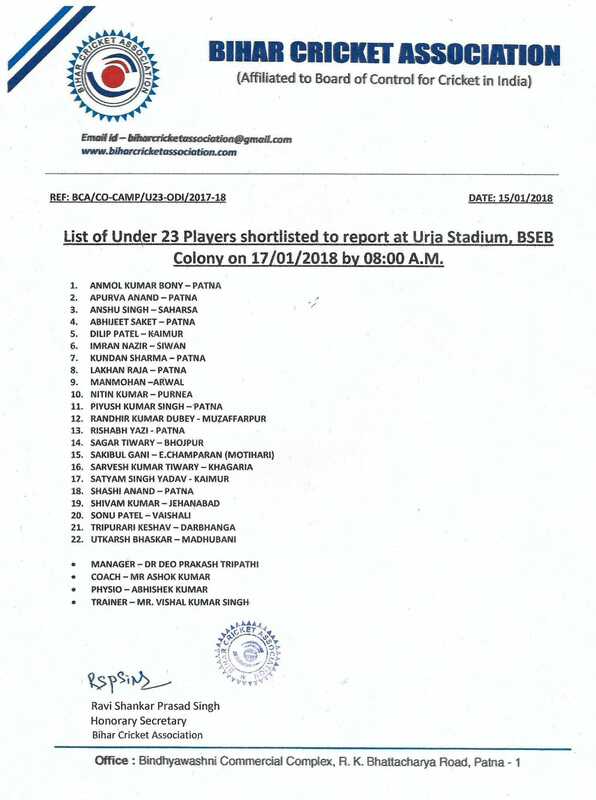 These Players have been shortlisted on the basis of clearance received from the ODMS Team of BCCI after scrutinizing their certificates and other documents. Forms of rest of the players are pending before BCCI. As soon as clearance from BCCI is received the same may be added in the list.